Biotech stocks saw some upward momentum last week. The defensive nature of biotech stocks drove investors into the space amid a rise in risk aversion following the ongoing U.S.-China trade war. The week also saw a slew of initial public offerings. Looking ahead, here are the catalytic events in the unfolding week a biotech investor needs to be mindful about. 6th Global Congress on Prostate Cancer – June 28-30 in Frankfurt, Germany. 60th Annual Scientific Meeting of the American Headache Society (AHS) – June 28-July 1, in San Francisco, California. Achaogen Inc (NASDAQ: AKAO) awaits FDA verdict on its plazomicin to treat complicated urinary tract infections (cUTI) and bloodstream infections (BSI). The FDA is set to rule on GW Pharmaceuticals PLC- ADR (NASDAQ: GWPH)'s epidiolex, which is being evaluated as an adjunctive treatment of seizures, with Lennox-Gastaut syndrome (LGS) and Dravet. FDA's Peripheral and Central Nervous System Drugs Advisory Committee, which met in April, unanimously recommended approval, of epidiolex. The FDA is due to announce its decision on Dermira Inc (NASDAQ: DERM)'s glycopyrronium tosylate for treating primary axillary hyperhidrosis. The agency will also rule on Array Biopharma Inc (NASDAQ: ARRY)'s Binimetinib as well as Encorafenib for BRAF-mutant, advanced, unresectable or metastatic melanoma. Alkermes Plc (NASDAQ: ALKS) awaits FDA's decision on its Aripiprazole Lauroxil NanoCrystal Dispersion (ALNCD) for treating schizophrenia. FDA's Anesthetic and Analgesic Drug Products Advisory Committee and the Drug Safety and Risk Management Advisory Committee are set to give their decision on the NDA for remoxy, oxycodone extended-release capsules, submitted by Pain Therapeutics, Inc. (NASDAQ: PTIE) and DURECT Corporation (NASDAQ: DRRX). Remoxy is being evaluated to manage pain, severe enough to require daily, around-the-clock, long-term opioid treatment and for which alternative treatment options are inadequate. Alder Biopharmaceuticals Inc (NASDAQ: ALDR) is due to release Phase 3 data for its ALD403, evaluated in a study dubbed PROMISE 2 for treating frequent episodic migraine on Friday, June 29 at the AHS meeting. Arsanis Inc (NASDAQ: ASNS) will release Phase 2 data for ASN100 to treat Staphylococcus aureus in late June. 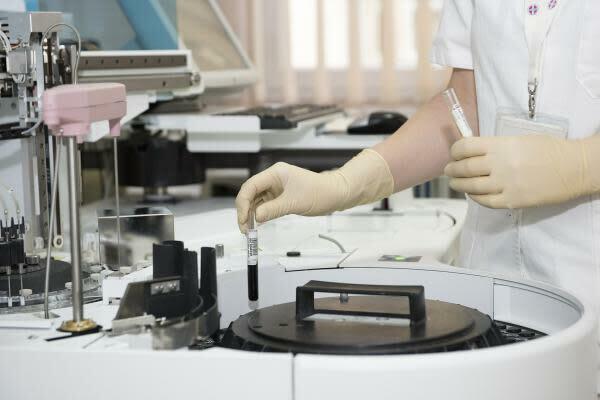 Apellis Pharmaceuticals Inc (NASDAQ: APLS) is scheduled to release Phase 1b data for its APL-2 and eculizumab add on as well as monotherapy expansion updates in June. The combo is being evaluated for Paroxysmal Nocturnal Hemoglobinuria, or PNH. Translate Bio is set to offer 7.7 million in shares in an IPO, with an estimated price range of $12 and $14. The early-stage biotech company developing mRNA therapies for genetic disease is seeking to list its shares on the Nasdaq under the ticker symbol TBIO. Neurostimulation device maker Neuronetics will offer 5 million shares in an IPO, with each share priced between $14 and $16. The shares are to be listed on the Nasdaq under the ticker symbol STIM. Neon Therapeutics, a developer of immunotherapy platform for targeting various types of cancers, is proposing to offer 6.25 million shares, priced between $15 and $17. The company is planning to list the shares on the Nasdaq under the ticker symbol NTGN. Forty Seven Inc. is due to offer 6.7 million shares (priced between $14 and $16) in an IPO. The shares of the developer of anti-CD47 antibodies for various cancers will be listed under the ticker symbol FTSV. Tricida, which develops therapies for chronic kidney disease, will offer 10.30 million shares, each priced between $16 and $18. Shares are to be listed on the Nasdaq under the ticker symbol TCDA.